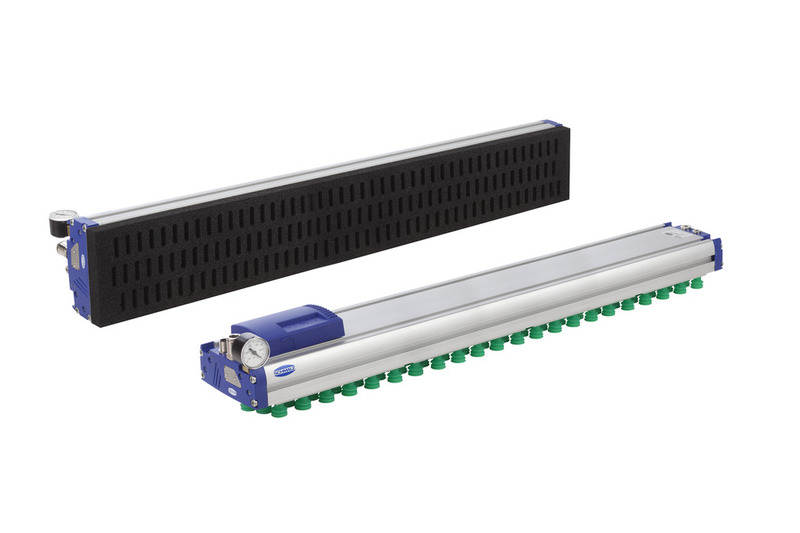 The vacuum area gripping systems FXP and FMP guarantee maximum flexibility during automated handling processes. 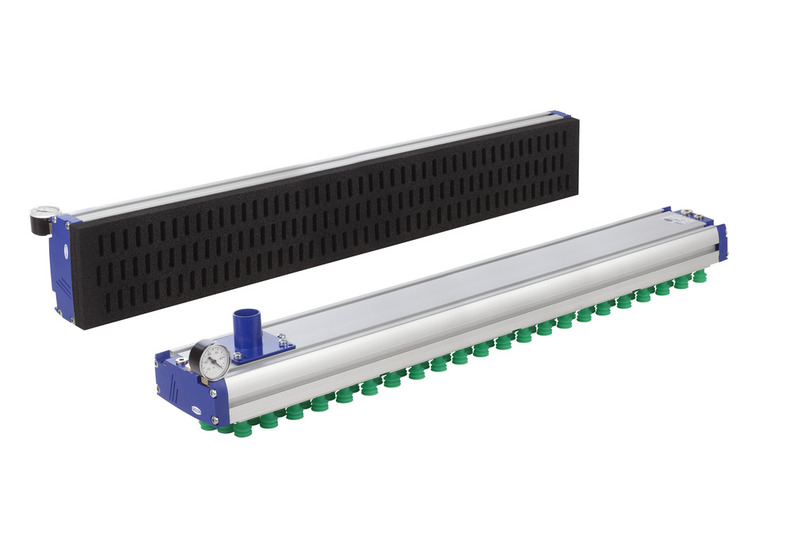 This universal gripper makes automated palletizing, depalletizing, order picking and sorting of the most varied goods in varying dimensions with only one gripper possible. Workpieces made from the most varied materials, such as carton, wood, metal sheets (dry) and plastic, both with and without cut-outs, can be handled. Handling of workpieces made from various materials, such as wood (coated or unplaned), packaging (boxes, bags or cans), metal sheets, glass, plastics, CFRP, etc.